This book investigates the urban and rural public pension systems in China with overlapping-generations (OLG) models. This book is composed of three parts. Part one analyzes the urban public pension system, part two explores the rural public pension system, and part three discusses some possible public pension systems. It is difficult to find a book to study the Chinese public pension systems with the OLG model. This book can fill the gap in the market. It has the following distinctive features. Firstly, instead of pay-as-you-go or fully funded public pension systems, this book studies the Chinese partially funded pension systems that combines the social pool account with individual accounts. Each chapter includes the author’s original work. Secondly, it investigates the public pension systems in a way of following proper sequence and making steady progress. 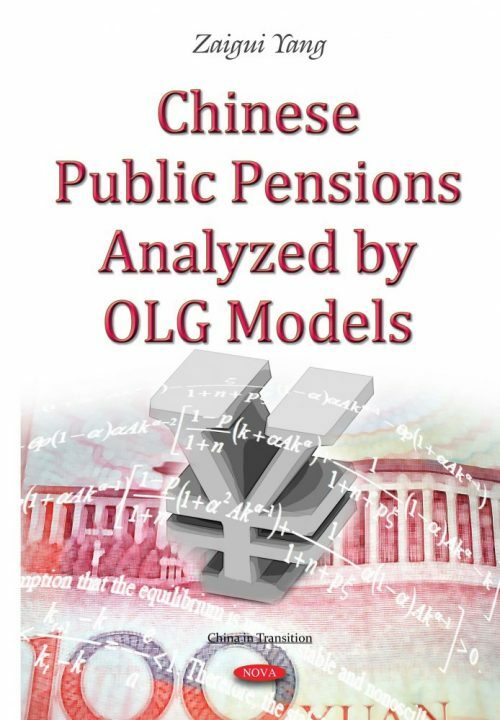 This is convenient for readers to deepen their understanding of the Chinese public pension systems with OLG models. This book is fit for scholars outside China who are interested in the Chinese public pension systems, researchers in China who want to investigate the Chinese public pension systems with the OLG model, doctoral students, master degree students and senior undergraduate students. This book is fit for scholars outside China who are interested in the Chinese public pension systems, researchers in China who want to investigate the Chinese public pension systems with the OLG model, doctoral students, master degree students and senior undergraduate students.